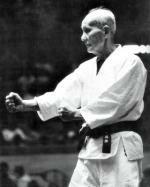 The term Karate (Empty Hand) did not come into common usage until 1936 when it was changed by Gichin Funakoshi. Prior to that, it was generally known as Te (Hand) or Tode (Chinese Hand). Funakoshi made the change in an attempt to make the art more marketable to the Japanese, who at the time tended to hate all things related to China. It is rumoured that Anko Itosu was once challenged to fight the Japanese Judo champion. 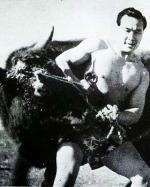 He turned up and to the astonishment of the Japanese crowd, dropped the champ with a body punch. After helping his opponent regain his breath, Itosu bowed respectfully and went home. Much of what is generally accepted as karate history fact comes from an oral tradition and unreliable sources. This makes it very difficult to know where the truth ends and myths & legends begin. Even work written by masters may have relied on historically inaccurate sources. Karate is studied worldwide by millions of people and is considered by many as the best martial art available as it is suitable for people of all ages, ability levels and body types. The techniques are said to promote not only fighting prowess, but also good health and longevity of life. Many historians trace Okinawan karate history and indeed the history of the martial arts in the Far East to Bodhidharma, the Indian Buddhist monk who travelled to China in around 527 CE. He stayed at the Shaolin Temple where he is said to have taught the monks an ancient form of Indian martial arts known as Vajramushti, which dates back to around 1000 BCE. From there it grew and developed into what we now know as kung fu and spread right throughout China. Over the centuries, it is believed that Chinese martial artists visited the island of Okinawa and passed on their knowledge, developing over time into an art that was unique to the island. From 1609, Okinawa was run by the Satsuma Clan from Japan and under their rule, weapons and martial arts in general were banned. Though the use of some weapons was still practiced, their ban had a profound influence on the art as it led to the secret development of many empty handed techniques. All those who chose to learn martial arts had to do so in secret or risk punishment from the authorities. As a result, very little information was written down about the martial arts in Okinawa before the 20th century and much of what was recorded unfortunately hasn’t survived, leaving the exact details of what was practiced and believed a mystery. There were three main styles which are named after the cities in which they developed; Shuri-te, Naha-te and Tomari-te. 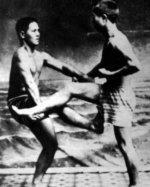 Collectively, these fighting styles were known as Okinawan Te (Hand) or Tode, (Chinese Hand). Two forms of Tode emerged by the 19th century, Shorin-ryu which was developed from the Shuri and Tomari styles and Shorei-Ryu which came from the fighting style practiced at Naha. It should be remembered that the cities were all within a few miles of each other and Shorin-Ryu and Shorei-Ryu had many similarities. 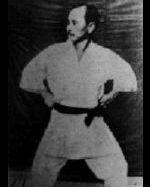 The main differences were of emphasis and according to Sensei Gichin Funakoshi who studied both, they were developed based on different physical requirements. 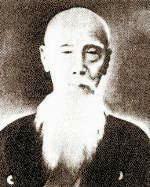 Shorin-Ryu was a quick, linear art that taught natural breathing whereas Shorei-Ryu was more rooted and practiced breathing that was synchronized with each individual movement; according to Funakoshi, both styles also have links to the kung fu styles of the Wutang and Shaolin Temples. In the mid-1800s, Okinawa was a place in turmoil as a result of the end of the old Samurai ways in Japan and the onset of the Meiji restoration, where the emperor once again ruled. They found themselves caught between the national interests of China, Japan and America (who they had previously paid joint tribute to). The Okinawan king and his government were disbanded and made to become commoners, the whole city of Shuri saw mass unemployment and the forefathers of Karate found themselves going from being of the higher social class to a state of abject poverty. 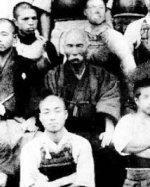 Sokon ‘Bushi’ Matsumura, a military officer who was responsible for the safety of the Royal Family prior to the Meiji Restoration was instrumental in the development of Shuri-te, along with his student Anko Itosu. These were dangerous times for the nobility of the island but they were not permitted to carry weapons. It was around this time that Matsumura and Itosu are believed to have developed the hard style that focused on rendering an opponent unconscious with very few techniques. This replaced the submission holds, grappling and light rapid techniques of Chinese boxing (kung fu) that preceded them and is believed to be the first time a style was practiced that closely resembles modern Shotokan Karate. Until the early 20th century the Okinawan masters trained in secret, spending three years on each kata and training extensively on a makiwara board; sparring as we know it today was not practiced though karateka would often challenge each other to fights to test their skills. Then in around 1905, Anko Itosu took the art out of secrecy and managed to get the authorities to allow him to start a program of teaching karate in the local schools. This was one of the most significant acts in the history of karate and brought in new era of growth for the art. It would ultimately see it go from a secretive martial art taught only to the privileged few on a small island, to being a worldwide phenomenon with ever increasing numbers of students by the middle of the 20th century. A Brief History of Karate-Do. [Internet]. 2012. The University of Hawaii. Available from: http://www2.hawaii.edu/~uhkarate/history.html [Accessed 13 November, 2012]. History of Karate from Ancient Combat System to Modern Global Phenomenon. [Internet]. 2012. Dynamic Karate. Available from: http://www.dynamic-karate.com/history-of-karate.html [Accessed 13 November, 2012]. 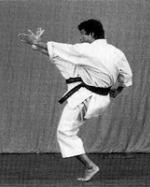 History of Shotokan Karate. [Internet]. 2012. North-western University. Available from: http://groups.northwestern.edu/karate/history.html [Accessed 13 November, 2012]. Matsumura’s 1882 Letter. [Internet]. 2010. Okinawan Karate-do Institue. Available from: http://okiblog.com/2010/06/matsumuras-1882-letter [Accessed 13 November, 2012]. Shotokan’s Secrets. [Internet]. 2004. Via Google Books. Available from: http://books.google.co.uk/books?id=BGxQeTMnPzQC&printsec=frontcover&dq=shotokan%27s+secret&hl=en&redir_esc=y [Accessed 13 November, 2012].